Raspberry Pi has a very low power consumption to keep it up and running 24/7. When you are downloading torrent files from or/and using it as a media server or local file server, it surely has the winning combination. 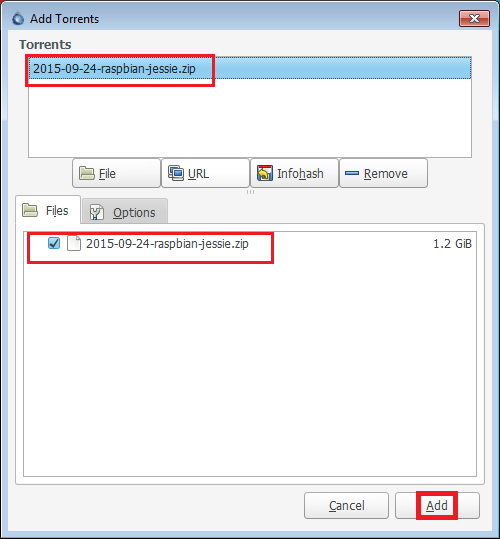 There are two popular Bittorrent client which are popular as always on torrent client in Linux server and embedded device community including Raspberry Pi. They are Transmission and Deluge. Deluge has a simpler interface and more complete set of configuration tools, while Transmission has some advanced bandwidth control feature based on time schedule. In this Tutorial we shall be configuring Deluge. In this tutorial we shall walk though the installation Deluge on a raspberry pi as always on torrent server. You may also want to share the downloaded files with your media players e.g. Mobile, laptop, tab. To do so you shall need to setup a your Raspberry Pi as fileserver or nas box. Either the way you shall need to attach a large storage. Therefore you shall be Interested in completing the Following tutorial before you start setting up an always on torrent server. Once you have a storage attached with your Raspberry Pi, you are ready to install the Deluge Torrent Client on your Raspberry Pi box. The out put should be the following, before you proceed on for the next configuration. Now that the default configuration files are created you may edit them and add authentication information. This authentication information will be used for remote login from windows/mac to the Deluge daemon. Next we shall make a backup of the default configuration file and add an authentication line for remote login to the same. Once the changes are made as described above, save the nano file by pressing “Ctrl-x” and “y” when prompted for confirmation of saving the file and followed by an “Enter” key. If starting the console gives you an error code instead of nice cleanly formatted console interface type “exit” and then make sure you’ve started up the daemon. The deluge terminal output shall confirm you that the configuration changes are saved. Now we shall need to restart deluged command one more time to let the configuration changes to take effect. deluge daemon will start again and ready for remote access. Once installed we shall make some quick configuration changes to make the client application to control the deluge installed on the Raspberry Pi. On the preference windows you will see list of categories on the left side, select interface. Under interface you shall find Class mode. If the option under “Classic mode” is selected green un-select it, if it is unselected leave it as it is. If you have un-selected it, press ok. To apply this change( disabling classic mode) by pressing ok, you shall be prompted for a restart. Say yes and start deluge client again. This shall bring up the deluge connection manager. 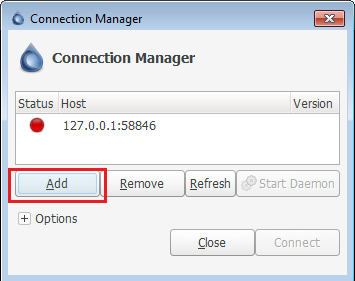 Once the connection manager is up, click on add. This shall take you back to the connection manager. 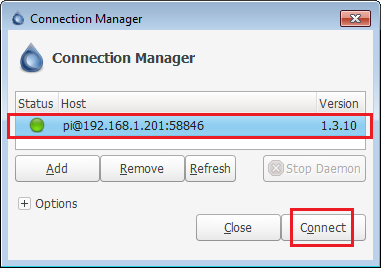 This shall also display the newly added host ip address with a green status indicator on the right side of the host name. You may now select this host and click on connect. You are now successfully connected your raspberry pi deluge daemon with your desktop client. The internal storage for the configured Raspberry Pi is probably not sufficient for downloading large files. To complete this step, you need have a external storage configured and mounted with sufficient space. As we have mentioned at the beginning of this post complete this step process if Attaching External USB storage with your Raspberry Pi. Once completed you shall have your desired storage attached under “/nas” folder in your Raspberry Pi. Under the /nas folder we shall create some more directories to store all our downloaded files. To start with we shall create a folder called “torrent-download”. Under that folder we shall create fore more directories to store files based on its download status and file type. We shall create all these directory as the user “pi”. The daemon “deluged” shall run as the user “pi” therefore the user pi must have write access to all the folders “deluged” shall be using. If we have mounted a disk (pen drive or a hard disk formatted on windows, this might be a problem as, we shall not be able to change folder permission of a non unix file system after they are mounted. 3.B.a. Caution If it is a msdos/vfat file system, we shall make sure that it is mounted with group ownership of “users” and umask of “0002”. If it is an automounted folder as described in the tutorial mount usb storage fat on raspberry pi, unless you have already done so, make sure you have the following entry on your /etc/fstab, and reboot the system. Once you are done enabling the above options and filling up the folder names press ok and we are ready to download. You may try any torrent as you wish as this point for testing. However for the completeness of this tutorial, I am providing the torrent link I tested the system with. By clicking this link should automatically download the torrent file. Once you try to open it Deluge shall automatically lunch and it shall prompt you to add the torrent to deluge as per following. You shall need to click add to continue. The torrent should be loaded automatically in to the add torrents dialog. 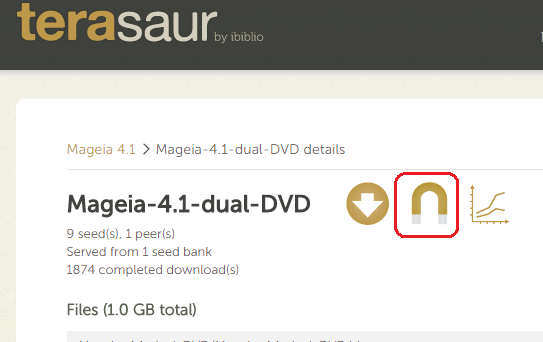 Click on add to start downloading the torrent. Check is the download has started. Downloading torrent using magnet link is a little different than using a .torrent file. Here is an example site, Once you get into it, click on the magnet icon, if you hover over shall say “Download via magnet link”. right click (left click you your mouse is left handed) ) on magnet icon and select copy link address from the option menu. 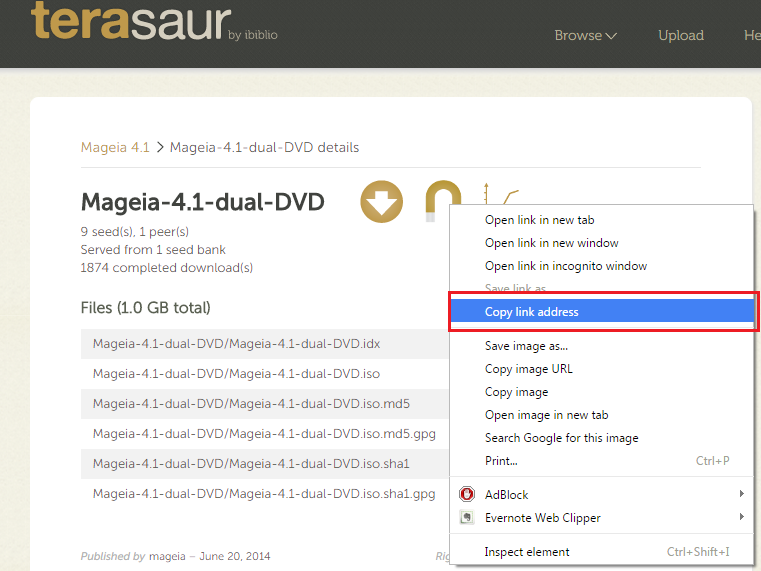 Now open up Deluge File-> add torrent –> URL (or Ctrl+o on windows) Once url is button is selected, the copy field is automatically filled in on the box called “+ From URL”. If the url box is empty, click on it and paste the copied URL. Click “OK” and after that click add “ADD”. The file should start downloading. Copy the above content and paste it in the following file in your Raspberry Pi console inside the opened files on “nano”. At this point your startup service for deluged should be ready and working. Connect to the deluged daemon with your windows/desktop deluge client to verify. Congratulations, you have successfully installed your always on torrent box using Raspberry Pi and Deluge.